Oliver Tate is a 15-year-old boy who makes his fiery classmate Jordana his conquest. While he struggles with the trials and tribulations of his first real relationship he also has to contend with the fact his parents marriage is on the brink after the emergence of one of his Mum’s old flames moving in next door. 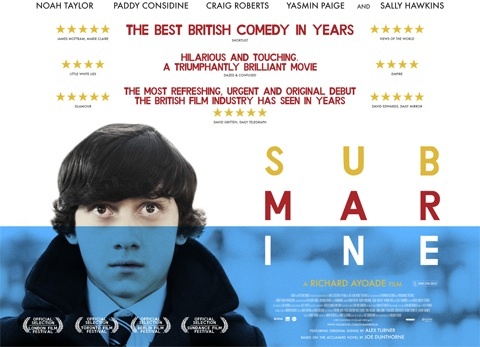 Now this film was shopped as a comedy, and while there are some, no doubt, humorous moments, Submarine seems to be more of a warm drama first and foremost. The casting is magic as Roberts and Paige are literally polar opposites while still managing to be a plausible couple. His sweet and timid advances are, more often than not, rebuked by his extroverted counterpart. And while Oliver seems to be the more sensitive one at first, we soon find out that maybe Jordana isn’t so brash after all. But what really excells in this movie is the directorial flair of Ayoade. For a debut, this is wholly promising stuff. Set in Wales, Ayoade manages to make bleak beaches and Oliver’s ‘favourite industrial estate’ look utterly picturesque. The grainy montages encapsulate the whimsical nature of youth and the moments of arson that are captured are really unique and distinctive. Ayoade is creative with his shots too, there’s some artful breaking of the fourth wall which is all too often hammed up in movies. As well as this, his real love of the craft is illustrated through some of Oliver’s gags about zooms and crane shots in a biopic of his life and cliché moments in romantic comedies. It's inconically stylised, without being heavy handed, from the trademark duffle coats to the opening and closing credits, it's all indie and lovely. And on a side note, Alex Turner’s original soundtrack is marvellous. 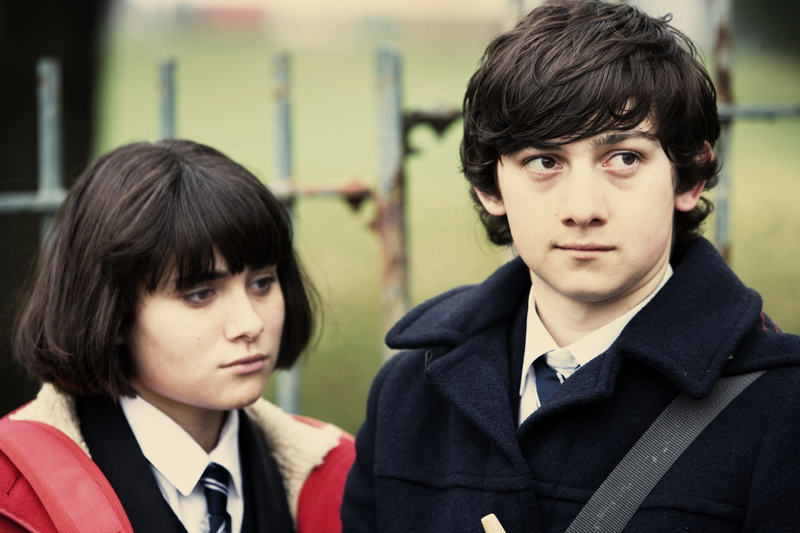 Submarine is heart warming and nostalgic because the film is not too removed from youth and is from a novel perspective of future leading man material.